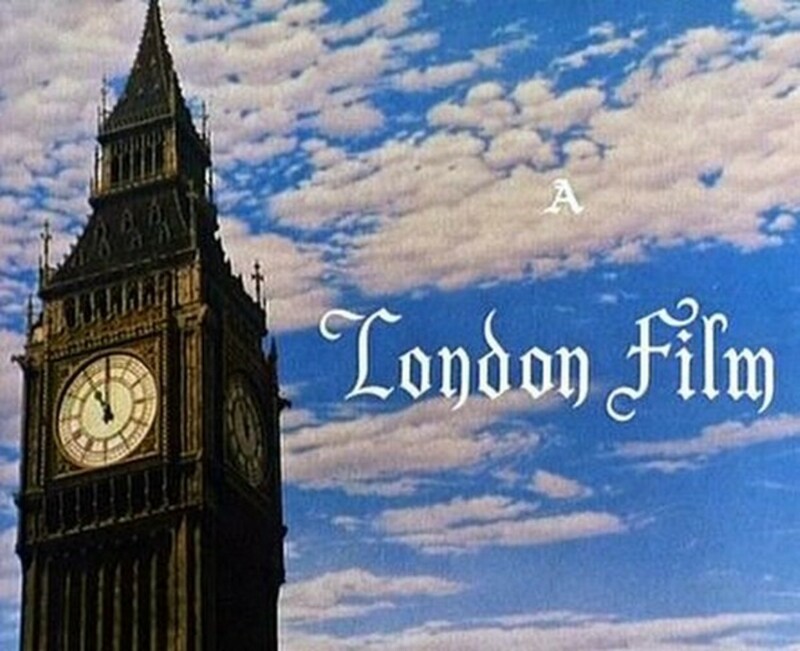 A visual history of London's Big Ben as depicted in the movies. One of Britain's most famous tourist attractions. Big Ben started working in May 1859. The name "Big Ben" is actually the name of the giant bell in the belfry of the clock tower. The bell weighs nearly 14 tons. The bell is struck by a hammer from the outside. The clock's official name is 'The Great Westminster Clock'. It is accurate within one second. The clock tower is 316ft high. The tower has no elevator, there are 334 limestone steps to the top. 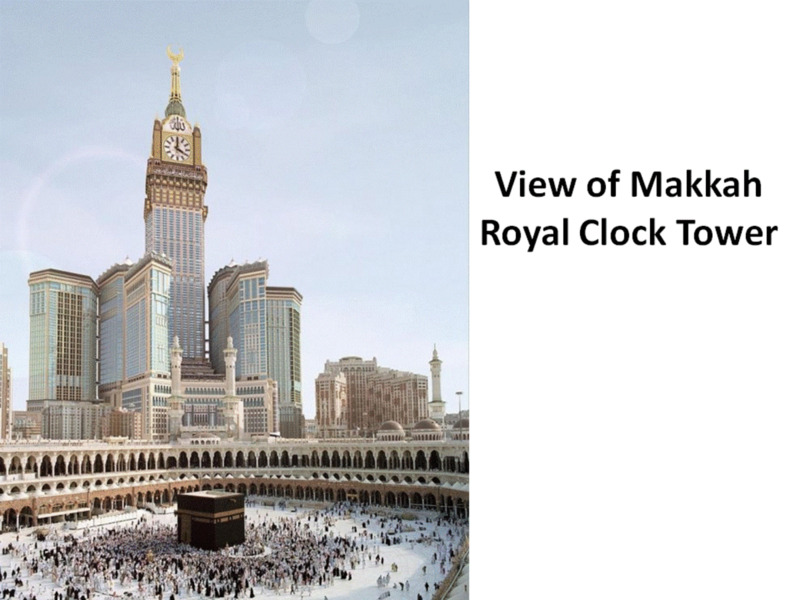 The clock tower was named 'The Elizabeth Tower' in 2012 to honour the Queen's Diamond Jubilee. 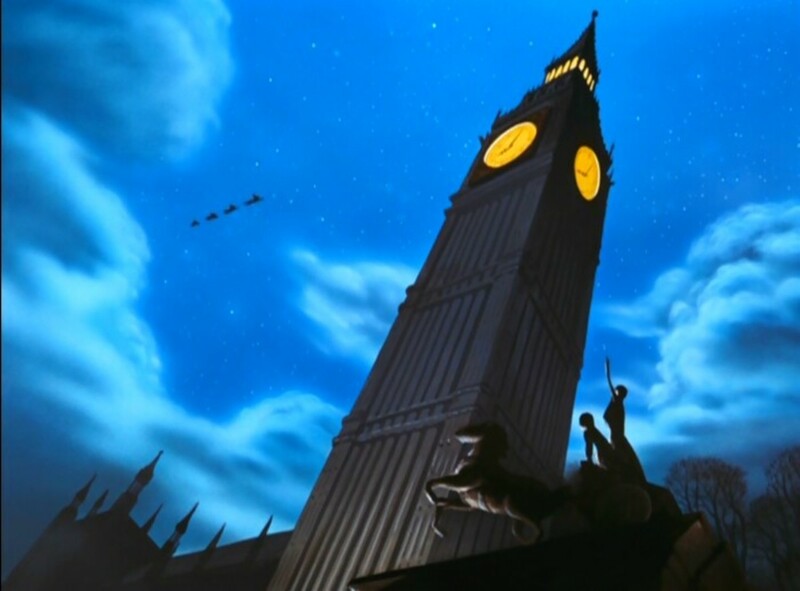 Walt Disney's classic animated adaptation of Peter Pan (1953) featured Peter, Wendy and co briefly stopping at Big Ben before flying off to Never Never Land. Disney's magical musical Mary Poppins (1964). 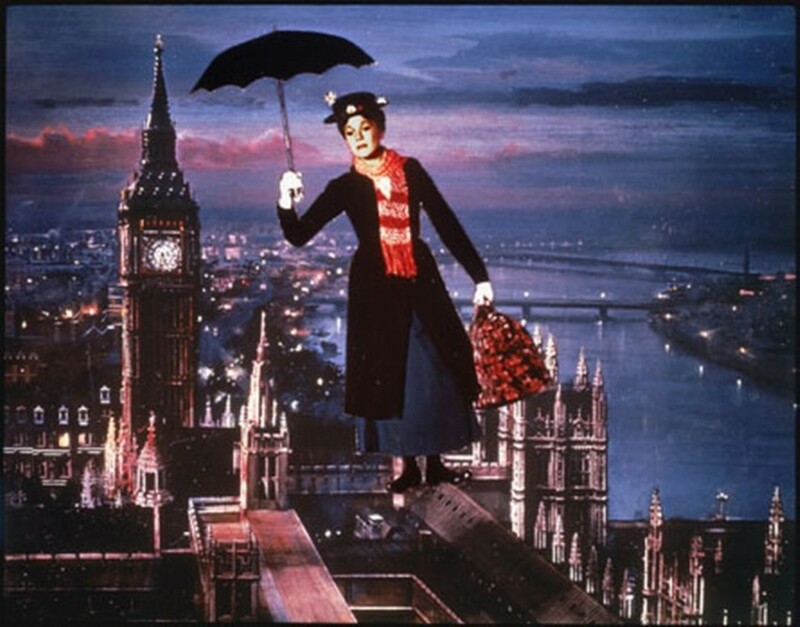 Here Mary is floating above the city with her umbrella. 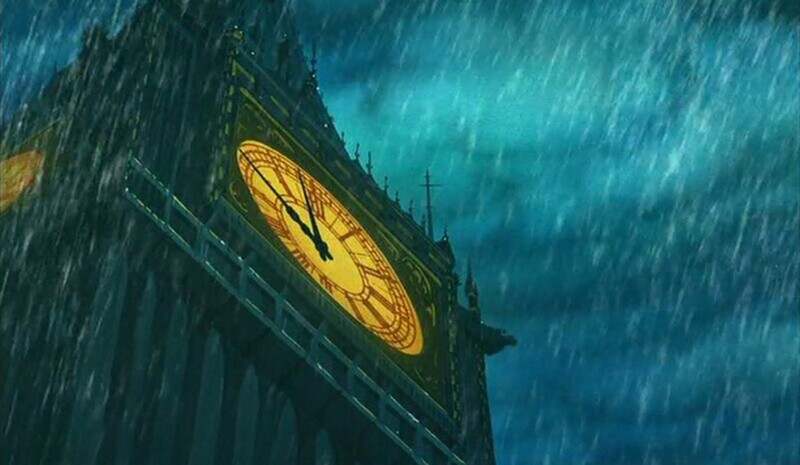 More Disney and the climax to The Great Mouse Detective (1986) takes place inside Big Ben. 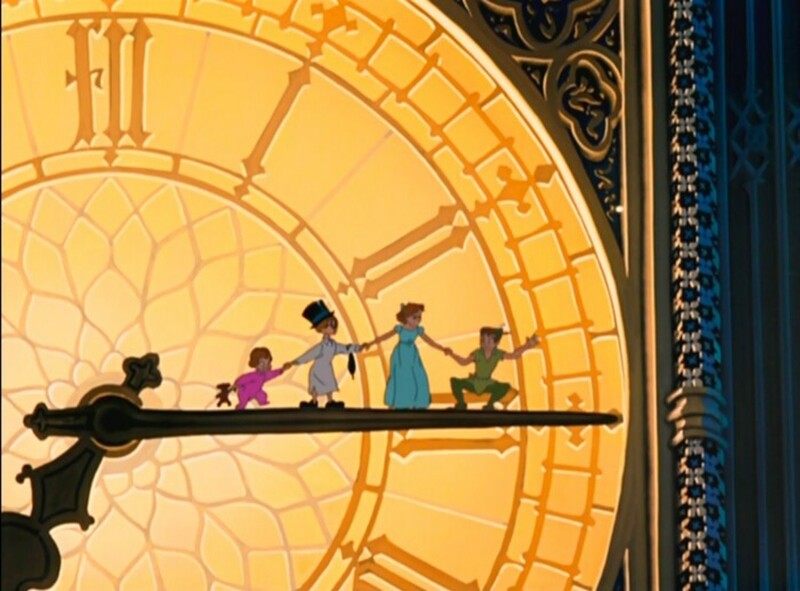 The scenes inside the clock tower contains some of the first uses of CGI in a Disney animated film. 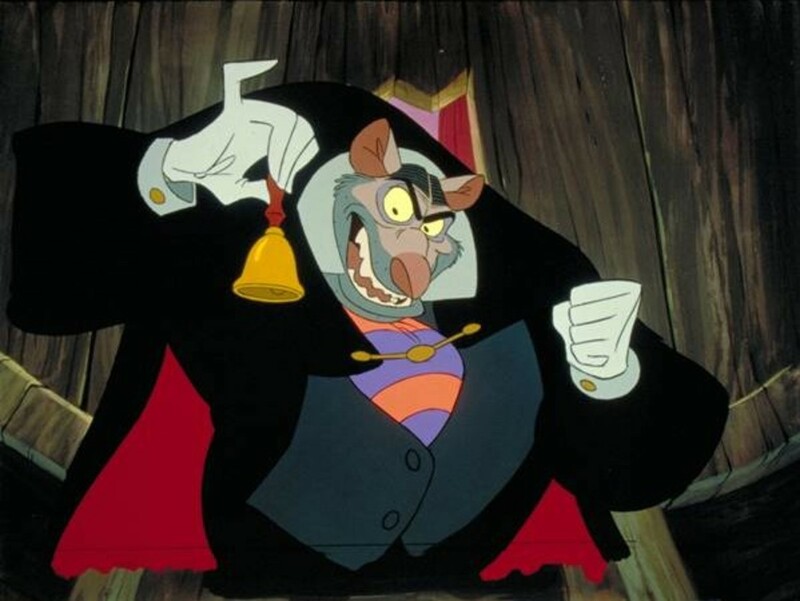 Vincent Price provides the voice of the villain Professor Ratigan. 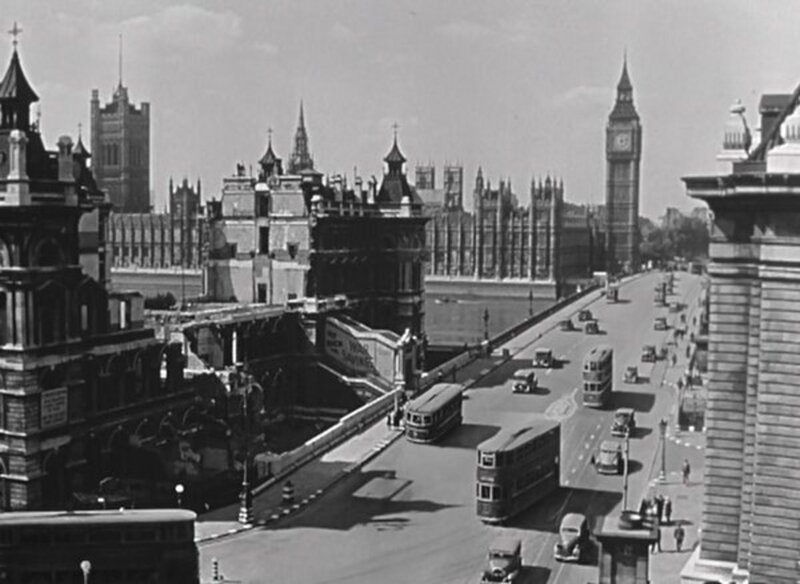 London Films produced many film classics including The Private Life of Henry VIII (1933), Things to Come (1936), The Four Feathers (1939). The Thief of Baghdad (1940) and The Third Man (1949). London stood still, a demonstration of Klaatu's power in the sci-fi classic The Day the Earth Stood Still (1951). 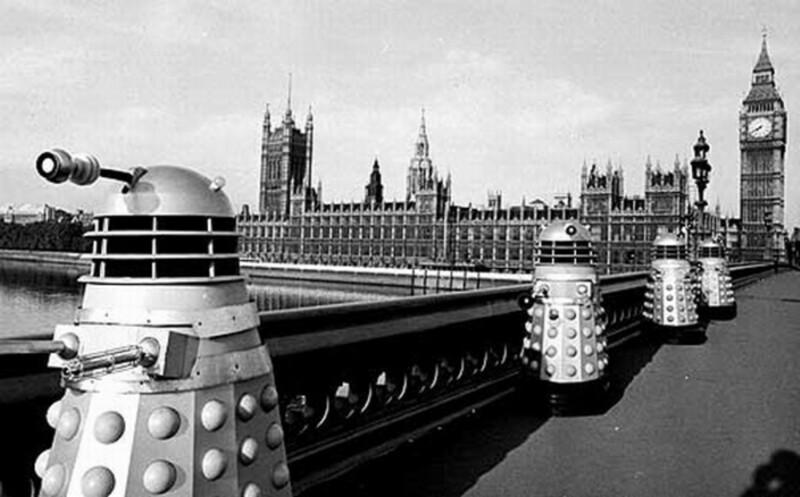 Here's one for Dr. Who fans, the Daleks touring London. 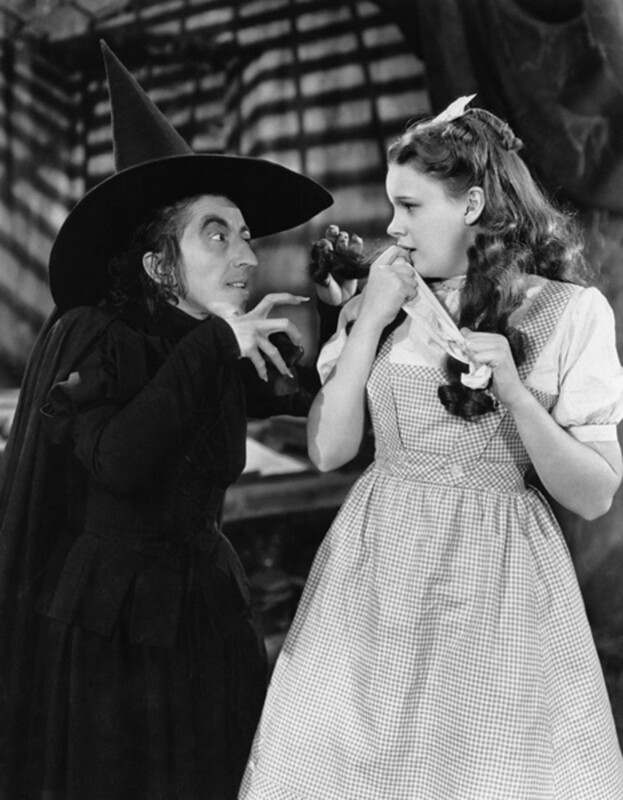 Not sure if this is from a film, episode or a publicity photo. No it's not King Kong and Fay Wray on holiday in London, it's Kong's British cousin Konga carrying actor Michael Gough who does not look happy at all in this shot from Konga (1961). 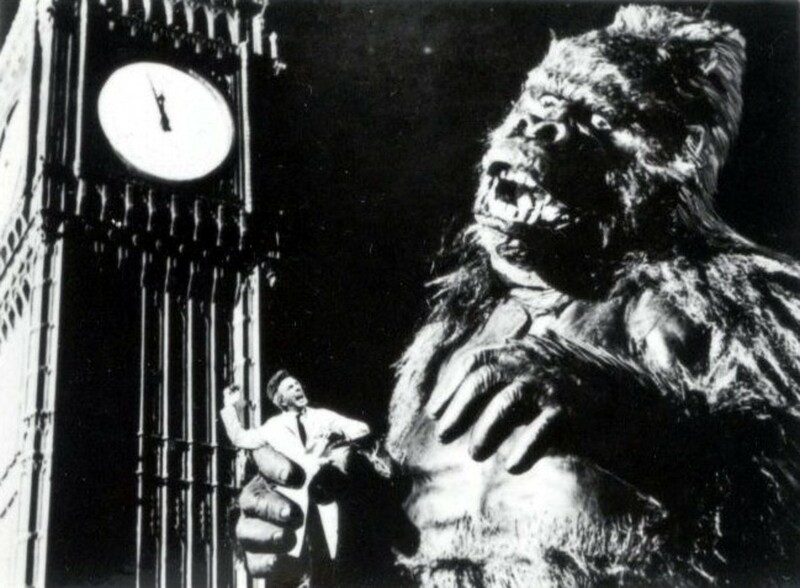 After Konga left Gorgo arrived and destroyed Big Ben, Gorgo loves knocking down London landmarks, a few minutes earlier it sat on Tower Bridge until it collapsed. It was later spotted peeing on Nelson's Column, and the army had to be called in. 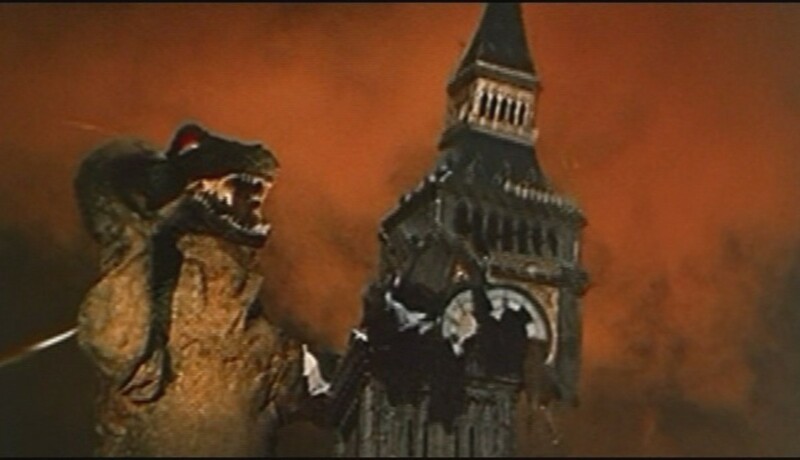 Gorgo (1961). 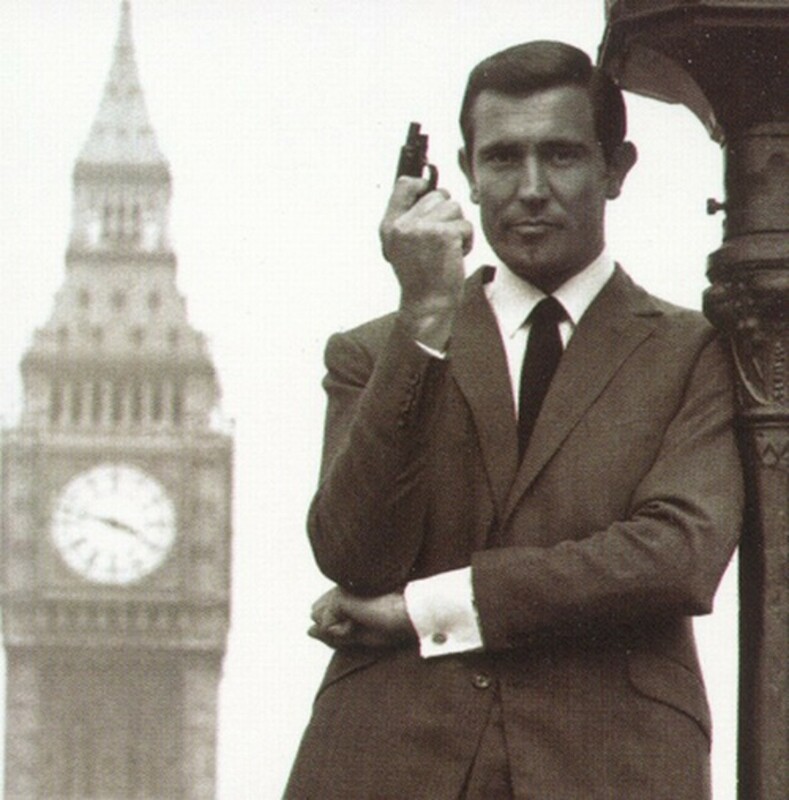 George Lazenby as James Bond posing in front of Big Ben. A publicity shot for On Her Majesty's Secret Service (1969). 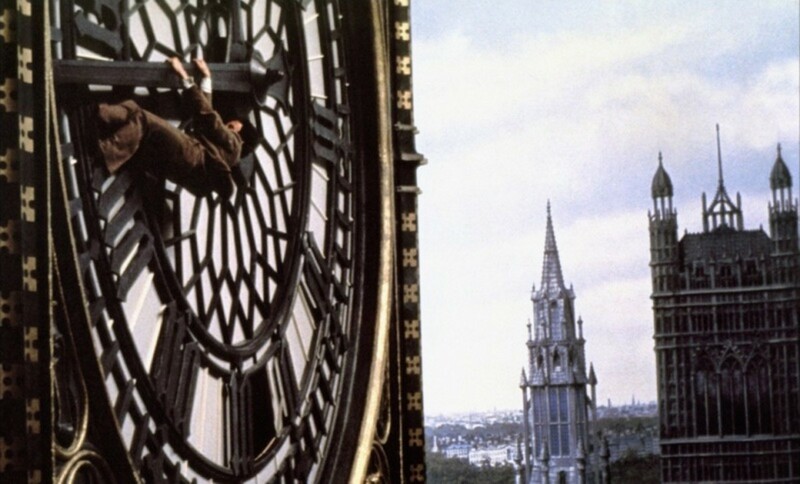 Robert Powell hanging on for dear life on the clock face. A scene from the 1978 version of The 39 Steps, directed by Don Sharp and also starring David Warner and John Mills. 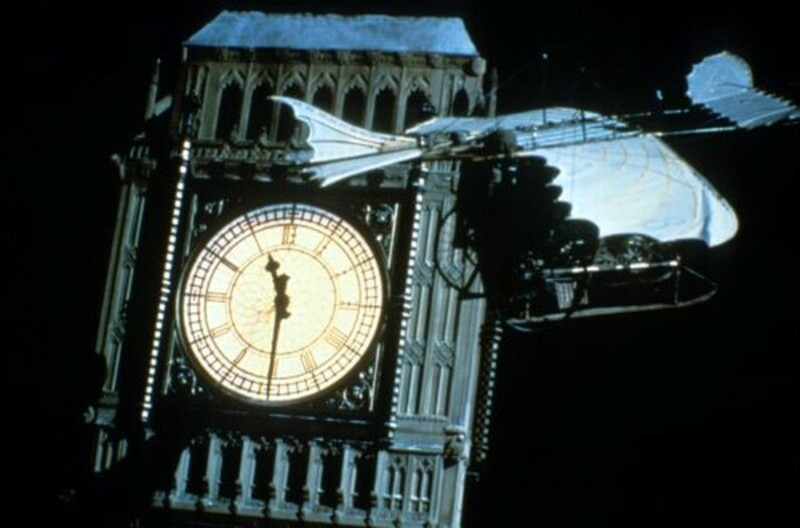 Young Sherlock Holmes (1985) Holmes (Nicolas Rowe) and Watson (Alan Cox) chase after the villain in Professor Waxflatter's flying machine, and of course passing Big Ben along the way. 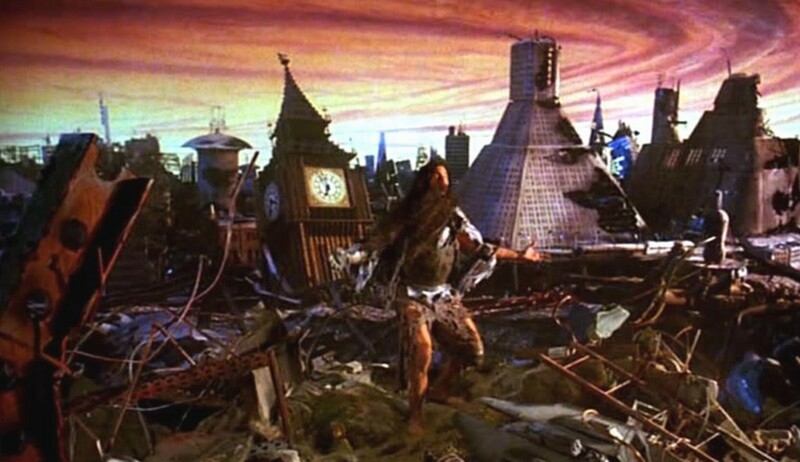 Bruce Campbell as Ash, in the alternate UK finale to Sam Raimi's Army of Darkness (1993), finds himself in a post-apocalyptic future and what looks like London after Gorgo and Konga finished playing with it. 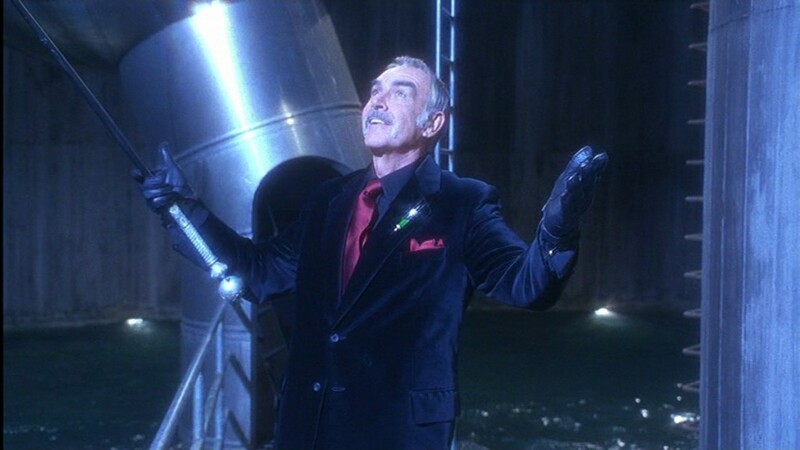 Sean Connery as Sir August de Wynter blowing up Big Ben with his weather control machine in the disastrous The Avengers (1998) a big screen version of the fondly remembered tv series. Ralph Fiennes and Uma Thurman star as John Steed and Emma Peel. 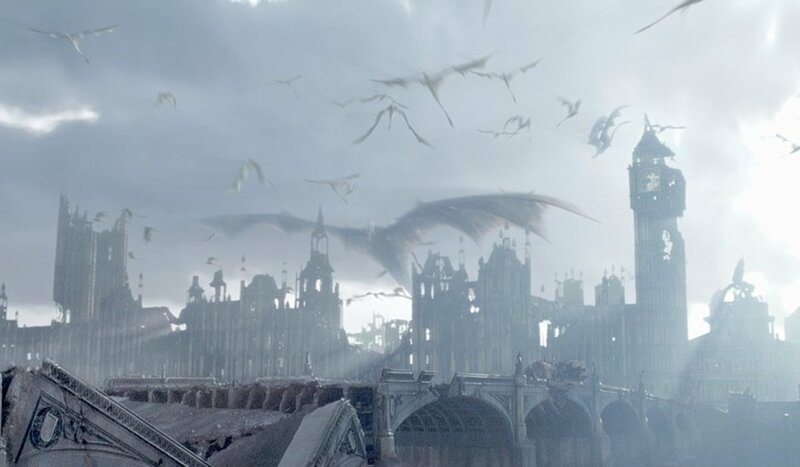 London destroyed by dragons in the sci-fi adventure Reign of Fire (2002) which starred Christian Bale and Matthew McConaughey. Unfortunately the movie poster was more exciting than the film itself, but the dragons looked fierce. 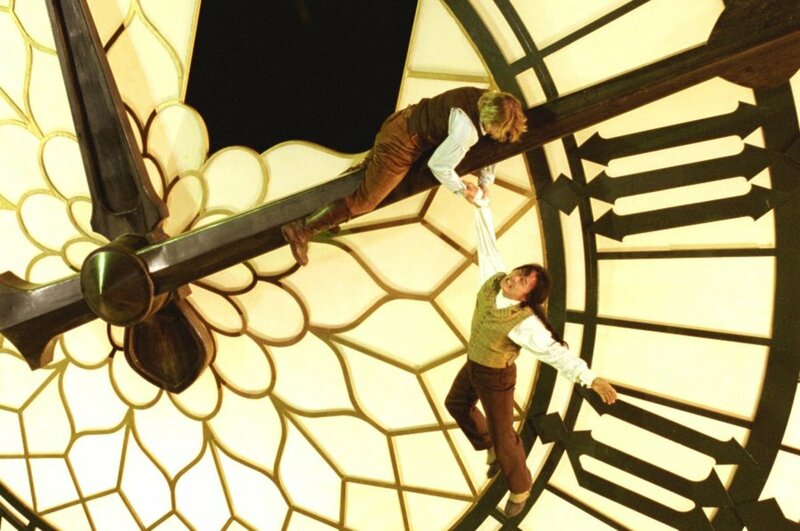 Owen Wilson and Jackie Chan hanging about on Big Ben in Shanghai Knights (2003). "Remember, remember the 5th of November, the gunpowder treason and plot. Natalie Portman as Evey watches as Westminster and Big Ben get blown up in the excellent comic book adaptation V for Vendetta (2006). 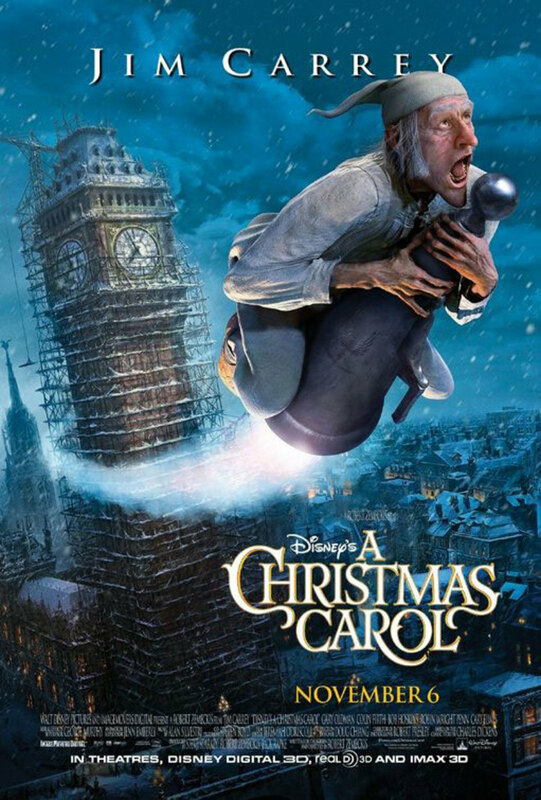 Which also starred Hugo Weaving as V.
Jim Carrey in A Christmas Carol (2009) A computer animated fantasy directed by Robert Zemeckis. 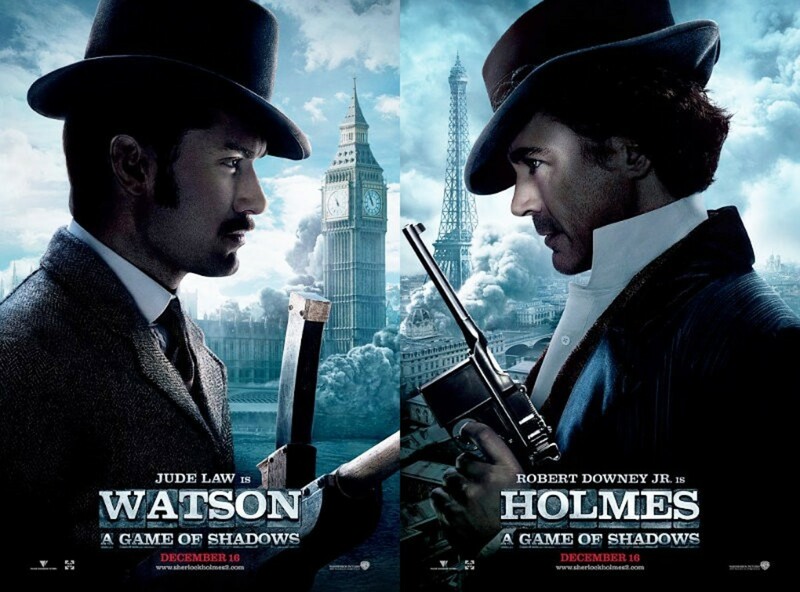 Sherlock Holmes - A Game of Shadows (2011) starring Robert Downey Jr as Sherlock Holmes and Jude Law as Dr. Watson. Directed by Guy Ritchie. It's amazing Big ben is still standing after all these attacks by terrorists, mad scientists, monsters and aliens! Maybe it's just a pre-fabricated copy which they just keep putting up after every disaster? It is something of a cliché I suppose; make a film about London, and you just have to have red double-decker buses, black taxis and Big Ben. 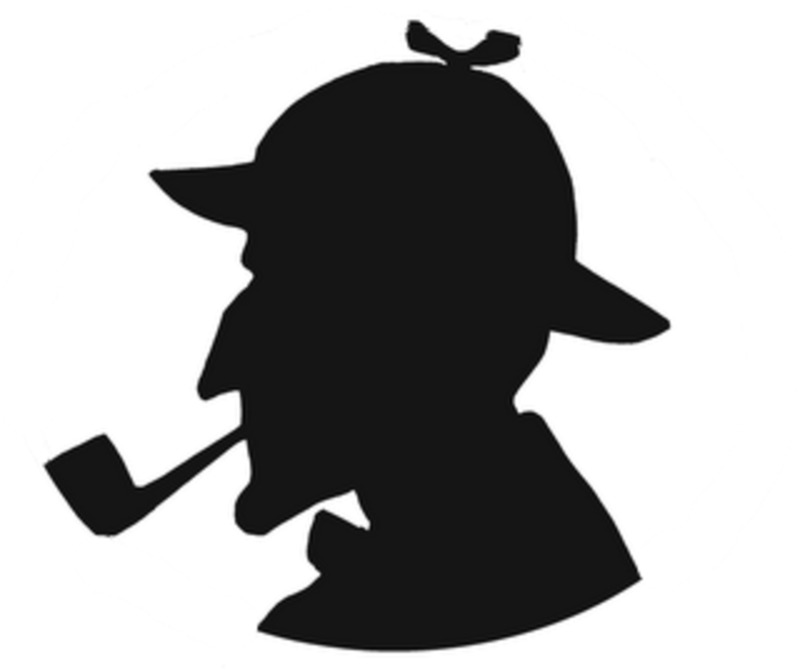 It's not allowed not to have these icons of London. Of the films mentioned, my favourite would be 'The Day the Earth Stood Still'. Sorry I got confused....especially since you have already done a Great Escape hub. Can't seem to think straight on this very hectic week in the world of Cogerson(wow now I am going third person...lol). So then I will make another guess....since it is not Star Wars or Great Escape....I will go with Butch Cassidy and the Sundance Kid or A Bridge Too Far or the reason I like movies so much...Raiders of the Lost Ark. Well I am guessing two of them will be The Great Escape and Rear Window....they should be interesting....and good luck finishing the 6 of them. I did enjoy these "in the Movies" hubs. I have about 50 or 60 more planned in the coming weeks. 6 hubs at once? Wow when I do two at the same time I normally do not feel like writing anything for a week or more....if I did 6 at once I probably would take a month or two off from hubpages. I would have guessed you were working on all 6 Star Wars movies but I do not think Hitchcock directed any of the Star Wars movies...but I could be mistaken...looking forward to the end result of all your work. Looking forward to Rear Window! Hi, Flora, so I've written hubs on both of your favourite sci-fi films and in a few days time I'll be finishing a hub on your favourite Hitchcock film. I've started work on 6 Illustrated Reference hubs simultaneously (theres a word!) and one of them I think is Cogerson's favourite movie. I think I would choose The Wrath of Khan as my favourite Science Fiction film with The Day The Earth Stood Still at number two. I do indeed love this movie. 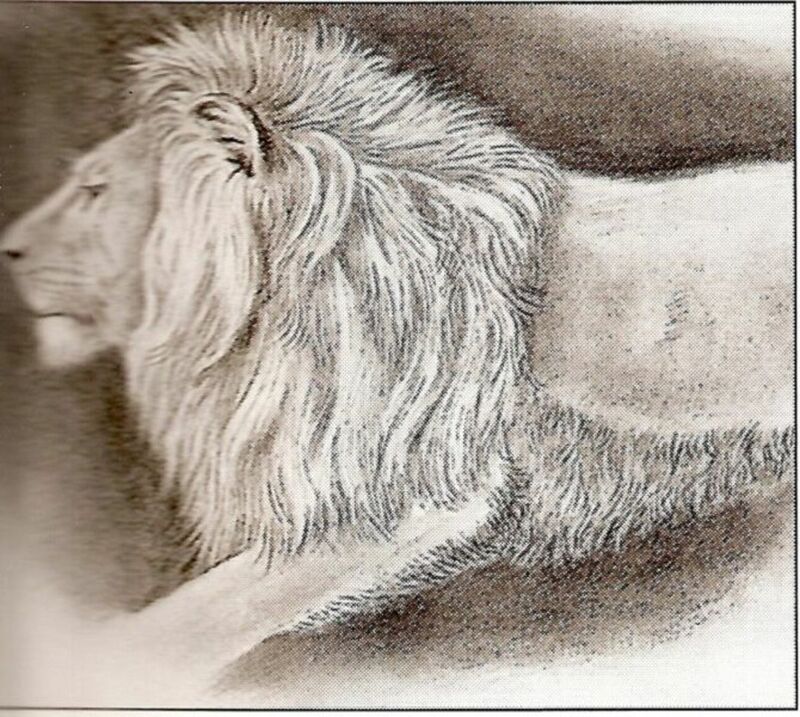 Flora, Cogerson, princesswithapen, thank you for the comments, they are very much appreciated. Flora, trying to choose between Poppins and Klaatu? I am surprised knowing you're not a sci-fi fan and a big musical fan, Day Earth Stood Still must be your fave sci-fi movie then? Cogerson, heh heh poor Big Ben seems to be an easy target, I just realised its higher than the Statue of Liberty and its pedestal? The Statue looks huge in films but if you placed it without the pedestal next to Big Ben and Westminster it will look comparitively small. I'm glad you enjoy these hubs, they are fun to compile, biggest problem is finding the right pictures. I've done three in a row time for a break, but I will do more. princesswithapen, it does look like Big Ben more than any other landmark represents London and it's instantly recognisable too. I think I'll add it to the hub, feel guilty now. 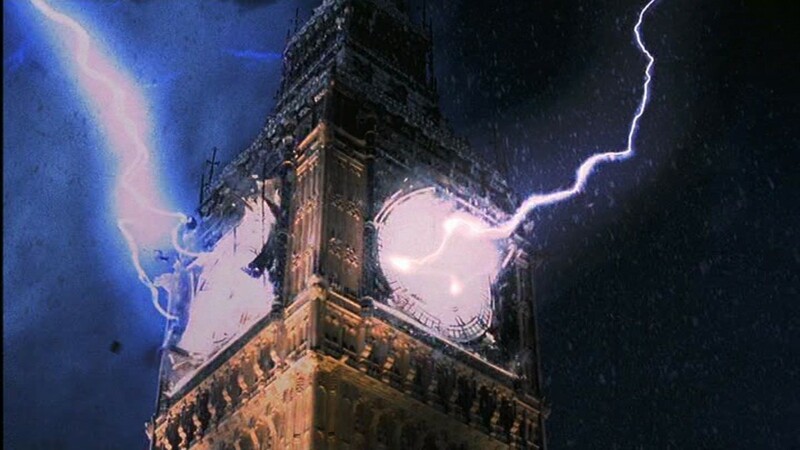 It gives goosebumps to think that Big Ben has been used in the movies ever since mainstream movies came into print, and is still being used today. Nice hub, and a great collection of pictures that all movie buffs can relate to. 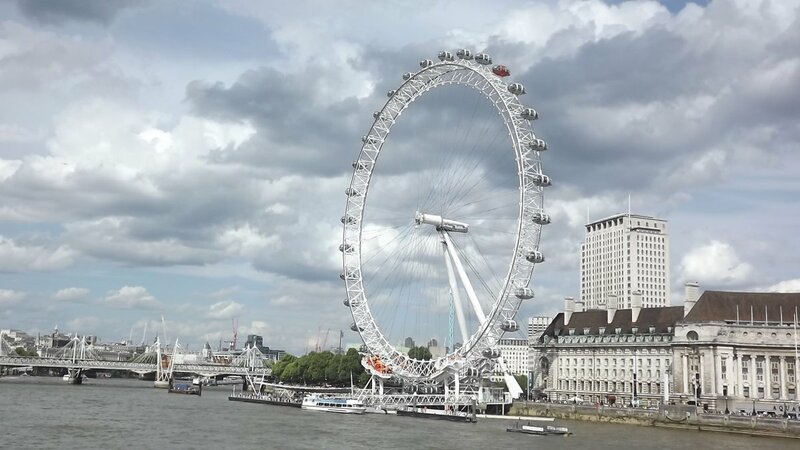 Another winning hub, good to see a London landmark being destroyed so many times versus the amount of times The White House has been blown up. 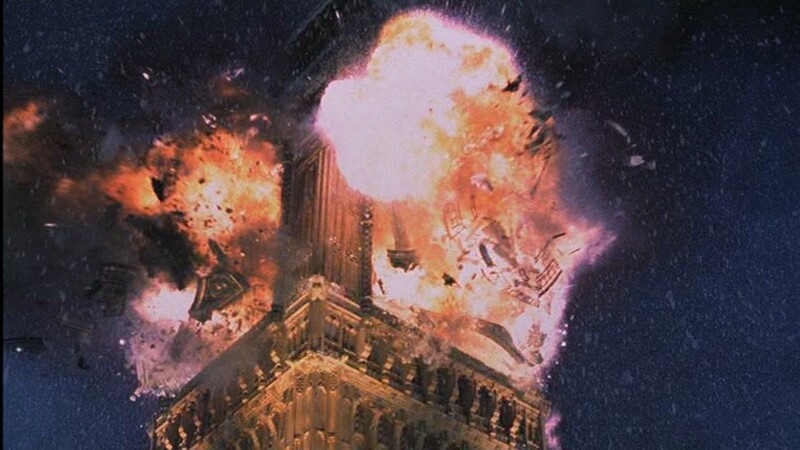 I have seen Reign of Fire many times but had never noticed Big Ben before this hub. I see you were able to include lots of science fiction movies into this hub as well....I really like the Dr. Who photo as well as Konga and Gorgo having fun with Ben. I have never seen Army of Darkness but I find it really interesting that Ash has gone from the cabin in the woods to a destroyed London....maybe I will have to check that movie out...I really like this hubs as I try to think of movies that have the landmark and then 99% of the time you have the movie listed as I read the hub....voted up and awesome and interesting. I've seen Peter Pan, Mary Poppins, The Day the Earth Stood Still, On Her Majesty's Secret Service, and Mars Attacks! (I can never get back the time I spent on this film). I am not sure why I haven't seen The Great Mouse Detective as I was 10 when it came out. But I don't even remember hearing of this movie. I'm not sure whether my favourite of these films is Mary Poppins or The Day the Earth Stood still. I have to pick Mary Poppins over Peter Pan, though I love it as well. I can still enjoy Mary Poppins on its own merits, but Peter Pan I only watch when I am interested in nostalgia.